SB Law became a member of the Asian Patent Attorneys Association (APAA). Asian Patent Attorneys Association (APAA) is a non-governmental with the aim of promoting and improving the Intellectual Property protection in Asia (including Australia and New Zealand). Founded in 1969, members of APAA expanded to individuals as patent attorneys in Asia as well as organizations representing Intellectual Property. Nowadays, Association consists of 2315 members from 17 countries including Australia, Bangladesh, Hong Kong, India, Indonesia, Japan, Korea, Macau, Malaysia, New Zealand, Pakistan, Philippines, Singapore, Sri Lanka, Taiwan, Thailand, Vietnam, Bhutan, Brunei, Cambodia, Laos, Mongolia, Myanmar, and Nepal. Association also includes the leading experts in the field of Intellectual Property law. Members usually meet annually at a board meeting and every 3 years at the General Assembly meeting in the member countries. The goal of the meeting is to expand cooperation networks and discuss opinions and information related to the Intellectual Property in the area. In 2013, Vietnam is honored to host the APAA 2013 in Hanoi from 19th to 22nd October 2013. 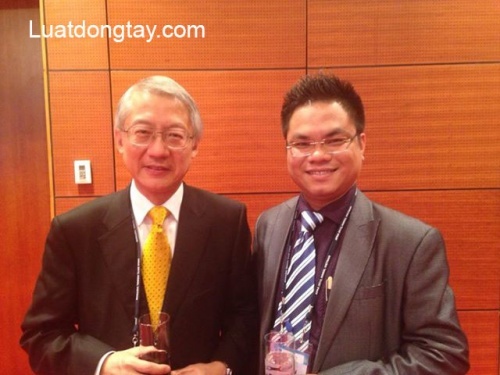 Lawyer Nguyen Thanh Ha, the Chairman of S&B Law, led the delegation to attend the APAA 2103. During the congress, lawyer Nguyen Thanh Ha actively participated in activities of APAA and also had the dozens of conversations with foreign partners. Lawyer Nguyen Thanh Ha informed to the delegation the status of Intellectual Property protection in Vietnam, ability and experience of S&B Law in Intellectual Property protection in Vietnam and foreign markets. Besides, S&B Law also expressed the desire to cooperate with international lawyers, organizations representing Intellectual Property, and Asian law firms in order to provide the best services for Vietnamese customers who want to protect their Intellectual Property abroad. With participating in APAA activities actively, S&B Law pledged to promote the international cooperation in the field of Intellectual Property in order to provide the best benefits to customers.